Founded by two former ballerinas, I tried the Ballet Bod workout in LA before downloading the mobile app. The app features a 12 week ballet-inspired workout program that you can do from the comfort of your own home with just a yoga block and your iPhone. The 30 minute programs are new each week and are perfect for sculpting long lean muscles. Starting at $80 for a 12 week program. Available on The Ballet Bod website, App Store, or GooglePlay. BRITE STUFF EXCLUSIVE: Reserve your Naked now for $95 (full cost $749). Use my promo code via this link for $50 off. 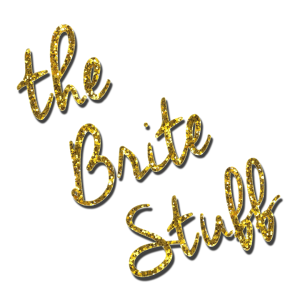 BRITE STUFF EXCLUSIVE: Use this link for 50% off your first shipment. This authentic Venice cafe, supported partially by the the Japanese government, sells a variety of items for tea lovers, but a matcha set is definitely the place to start. Whisk the tea powder into hot water and start enjoying the benefits of adding green tea to your daily routine. What’s a better gift than a good book? Check out my reading list of What To Read This Winter for a wide range of titles.